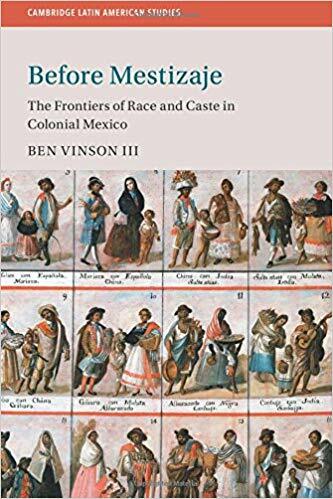 Professor Ben Vinson III has been awarded the 2019 Howard F. Cline Book Prize in Mexican History for his 2017 book, “Before Mestizaje: The Fontiers of Race and Caste in Colonial Mexico.” The prize is awarded by the Latin American Studies Association to “an author of an outstanding book at major importance to the development of the field of Mexican history…” and will be presented at LASA’s International Congress in May. In addition to his positions as Provost and Executive Vice President, Professor Vinson was recently elected to the executive committee of the Conference of Latin American History. Read more about the Howard F. Cline Book Prize and LASA here and purchase Professor Vinson’s book here.